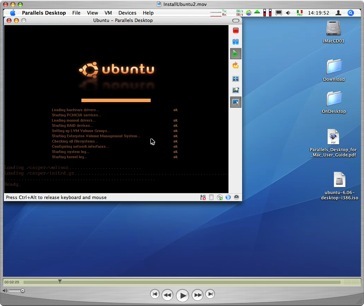 Live screencast how-to install Ubuntu x86 on iMac CoreDuo by Parallels. 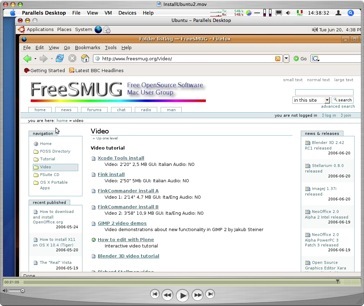 Live screencast how-to install and run Ubuntu x86 on iMac CoreDuo by Parallels. Are about 21 minutes (no cuts, use fastforward) from starting Parallels to having Ubuntu working after installation.